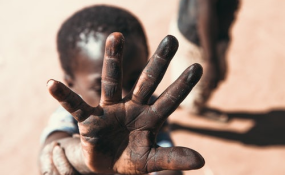 The International Labour Organisation (ILO) has announced a $10.8m fund for Uganda and Malawi to jointly work to combat child labour on the African continent. Kampala — The International Labour Organisation (ILO) has announced a $10.8m (about Shs40.5b) fund for Uganda and Malawi to jointly work to combat child labour on the African continent. The announcement was made during the ILO governing body's 334th session that is ends today in Geneva, Switzerland. "The details about the disbursement, sharing and use of money will come later as the team returns from Geneva. Otherwise, that is an allocation that we as a country need to welcome and put to use," Mr Frank Mugabi, the ministry's communications officer, said in a statement issued yesterday by the Ministry of Gender, Labour and Social Development. Under the Public Private Partnership, the tobacco industry has been funding ILO's programmes on elimination of child labour in the tobacco industry. However, ILO is transiting from the tobacco funding so as it concurs with the Model Policy for Agencies of the United Nations Systems on Preventing Tobacco Industry Interference. Ms Mukwaya guided that when resolutions are made, there should be "due consideration of the principle of the best interest of the child articulated in the United Nations Convention on the rights of the child,"